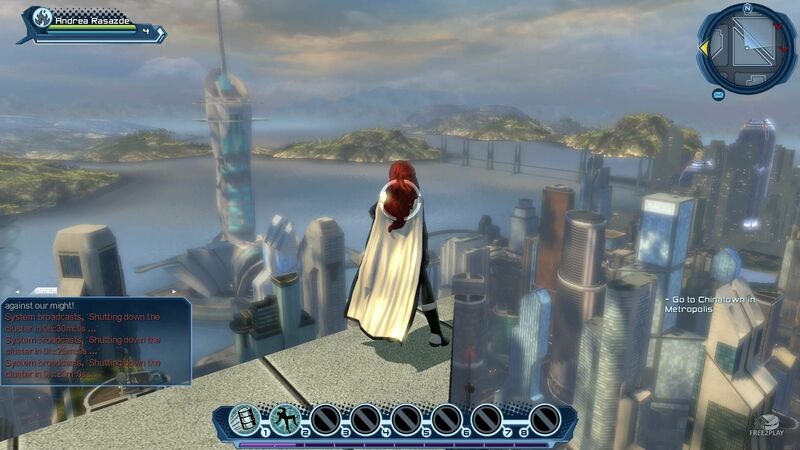 The massive cityscapes of Metropolis and Gotham City serve as the primary locations in which players will embark on their heroic or villainous adventures. Within these cities, many well-known areas are available to explore, such as Arkham Asylum, Ace Chemicals, Wayne Tech Skyscraper, and Amusement Mile (hideout and home to The Joker) in Gotham City, as well as LexCorp headquarters, Suicide Slums and S.T.A.R. Labs in Metropolis. ice wielders have the ability to lock down opponents who come within their chilling reach. 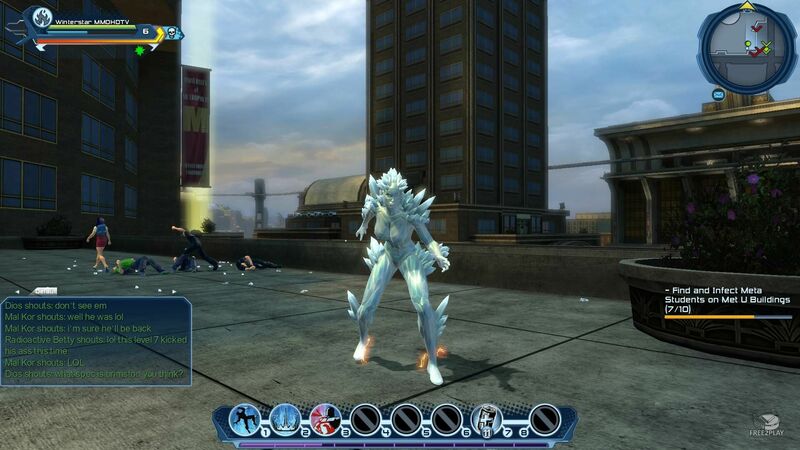 These characters want to armor up and keep their enemies on ice through two unique paths: Cryogenics (Ice forms around you and enemy attacks don't seem to land) and Storm (Icy winds dance at your command, allowing you to push and pull enemies around the battlefield). Fire characters like to get up front and blast away at enemies, and therefore they tend to draw a lot of attention. They also want to spread their flames so they can do as much damage to groups as possible. Fire powers have two distinct specializations: Immolation (powers cause flames to well up around your character) and Ignition (Flames burst forth, searing your opponents and their nearby allies). Nature characters draw upon these forces to keep their allies alive or wither their enemies away. Nature powers grow along two distinct branches: Shapeshifting (allow you to shift into beast forms) and Plants (you will be able to heal your allies or poison your foes with thorny vines and pollinating flowers). Using their unique abilities, they can move objects with a thought to defend themselves or damage an enemy. Mental characters love to be where the action is and control the battlefield with their minds. Mental powered characters can travel two mind-bending paths: Telekinesis (With the brute force of your will, you can create force fields that encase enemies or send them flying down the street) and Illusion (By using your mental powers it is easy to make an enemy think you are someone else, creating opportunities for surprise attacks). Gadget characters are crafty and use their heads to place their devices strategically to achieve victory. The gadgeteer has two unique paths to follow: Tricks (Tricks are devices that you place in plain sight to deceive the enemy) and Traps (Traps are devious devices that remain hidden until sprung). Sorcerers can doom enemies to failure or ensure their allies have the power to carry on the fight. They are ideal for combat support, often tipping the balance of a fight with their spells. Arcane powers often fall into two categories: Summoning (summoned pets to aid) and Destiny (Generate good or bad karma for you, your allies, or foes. Gathering these positive and negative energies allows you to elevate or enfeeble those around you). Acrobats are master aerialists and climbers who use their skills to vault across the rooftops of Gotham City and Metropolis with seemingly effortless grace. Acrobats are able to climb and cling to any surface, giving them a unique way to approach both movement and combat. Using a Grapple Line, Acrobats can quickly ascend tall buildings and traverse the gap between skyscrapers. And for movement across the massive cityscapes, Acrobats can even glide across the sky after leaping from vast heights. In combat, the Acrobat's agility is unmatched, with special combat moves designed to draw enemies in close to deliver precision attacks. 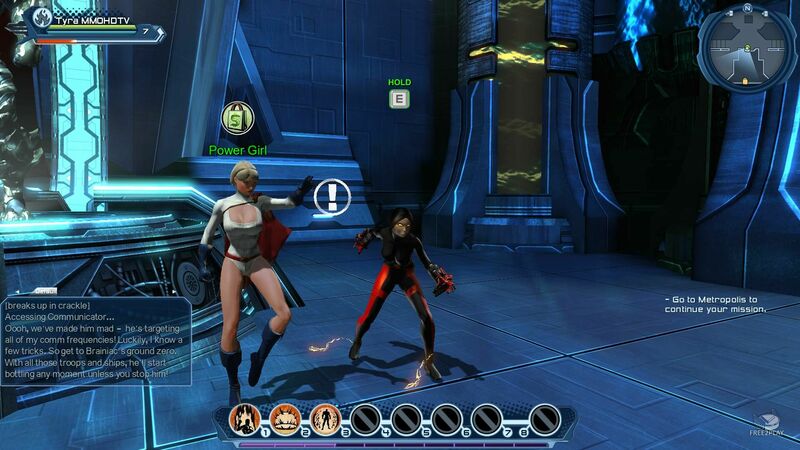 Speedsters travel through the streets of Gotham City and Metropolis at an incredible velocity. Those with Superspeed movement reach such tremendous acceleration that they can even run up the sides of buildings, up walls or across ceilings. Traveling long city blocks to get to the action becomes a cinch with this movement mode. In combat, speedsters become deadly whirlwinds using their quickness to move in and out of range with ease and special attacks to stun and disorient enemies. Fliers soar over the skyscrapers of Metropolis and Gotham City, swooping down to engage their enemies with devastating attacks. There is no place out of reach for fliers, who are able to traverse any environment with ease. Those with Flight movement have their own special combat moves designed to stun enemies or knock them senseless. Using the environment around them, fliers can turn almost anything into aerial projectiles to defend the innocent or destroy the city. At character creation, players will have to choose their mentor, an iconic character that will guide each player through the game. Heroes can choose between Batman, Superman or Batman. And Villains, between Joker, Lex Luthor or Circe. The Joker is a chaotic, maniacal mentor to all new tech villains. Lex Luthor mentors all of the new meta villains in their quest for power; Circe mentors all new magic villains.